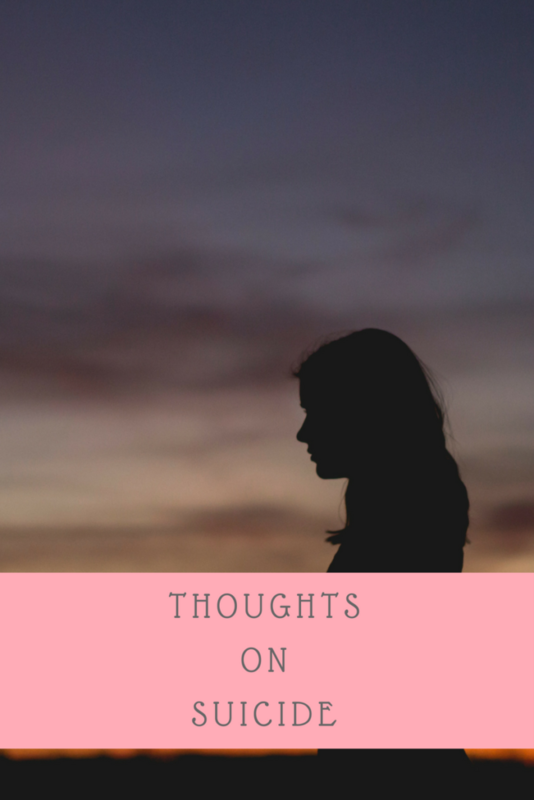 I’ve been sitting with my thoughts on suicide for a couple weeks now. If reading about suicide or suicidal thoughts is triggering for you, please don’t continue reading this. But do know, there are resources listed at the bottom of the post if you need them. As you know, there have been several celebrity suicides lately. The two most recent deaths of Anthony Bourdain and Kate Spade have opened up dialogue for many people. I will say it’s a shame that the two most recent ones were what opened up the dialogue more than the deaths of Chris Cornell and Chester Bennington, at least in most mainstream areas. Just because Chris and Chester had problems in the past with drugs and alcohol does not make their suicides less troublesome than Bourdain’s or Spade’s. Often drug and alcohol use is a way to self-medicate depression and other mental health issues. But I’m not going to go on a rant about that right now. The dialogue that was opened shows that no one knows what is going on inside of someone’s head. That person who looks like nothing is bothering them and always has a grin on their face in public may have a private hell when alone. I’ll preface the following for my loved ones – I am in a good place right now, and am not having suicidal ideations at this time and haven’t for several years. 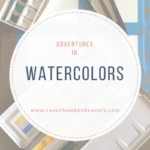 This post will likely be a rambling post because of the topic, I’ll warn y’all right now. I used to be one of those people who put on the front. As I’ve mentioned in a prior post, I have bipolar disorder. I was misdiagnosed as having major depressive disorder for years, starting in 1999. I was finally diagnosed correctly in late 2009. But my problems started way before 1999. I began having issues with depression when I was a very young teen. I can remember having suicidal thoughts as early as my 6th grade year. I was being bullied my 6th grade year, but the depression did start before then. I attempted to cut my wrists in 8th grade, but my mother knocked on my door as I started to. I did write a poem about this time: The Letteropener. I also was beginning to suffer from anorexia during my 8th grade year and fought this throughout my 10th and 11th grade year. My suicidal thoughts waxed and waned throughout the years. I was that Straight A band kid that most people wouldn’t have imagined had anything to be depressed and suicidal about. It’s not about what you have going good in your life. It’s about biochemistry as well as self-talk. There were times my depression left me bedbound and non-functioning, but these were often not the times the suicidal thoughts were at their strongest. When life was going good, I always felt like the other shoe was going to drop, that other people would figure out that as was as worthless as I thought I was. Any failure would make the thoughts get louder and more prominent for a while. Get a lower grade than I wanted on an assignment? I didn’t deserve to live. Get bypassed for a promotion? Screw them, I just won’t be here anymore to pass over. Lose a job because of my health? What’s the point – my health is just getting worse. When you’re suicidal, you’re in a spot where you feel like you’re a burden to everyone around you. I felt like my being alive was hurting those around me more than my being gone would. That people were only staying around because they felt sorry for me or felt obligated. I thought that killing myself would allow them to get on with their lives. I watched my husband and my mother both in pain because of my mental health issues and physical health issues. My husband has to plan his life around making sure I have what I need for my physical health concerns – be it meds, foods I can eat, or even just someone available if I have a bad flare. I’m not longer the healthy happier person who used to go hiking and camping with him. I felt like I would be doing them all a favor. I started on antidepressants in 1999, but this didn’t stop the suicidal thoughts. In fact, looking back it really didn’t help my depression much at all and contributed to manic episodes I was already having. In 2009, I finally was diagnosed with bipolar disorder and put on a mood stabilizer. This helped some, but not soon enough. In very early 2010, after being fired from a position because my health was impacting my productivity and attendance, I attempted to overdose on the antidepressants I was no longer taking. I ended up getting pretty ill, passing it off as a gastrointestinal bug. You’re correct, I did not admit to anyone at the time that I had attempted to kill myself. To be quite honest, I have only recently told my husband in the past few weeks that this was a suicide attempt. That time was a round time for me. I had a span of about 2 years – from 2009 to early 2011, that was pretty dark. The job I was in throughout 2009 I found difficult to deal with because of my physical and mental health. Then I was let go from there. I was hired back into the mental health field. Hiding suicidal ideation from coworkers in the mental health field takes a lot of energy. It helps when your position leaves you working weekends alone though. I was dismissed from a position with an independent musician who I adored at the time, simply because I went to NYC to meet another group of musicians, instead of Boston the previous month to meet him. This meeting in NYC in March of 2011 though would be a breakthrough for me. I ended up meeting a man who would become one of my best friends, the Eric to my Pam. He has a way of getting me to look at life that the suicidal ideations lifted. It took me over a year to actually realize – wait I haven’t had any suicidal thoughts since meeting him! He pushes me to work on my spirituality – although I still haven’t done all the work I need to – and I feel that this is part of what has helped. I’m not saying that the suicidal ideations won’t return. I have lots of days where I feel hopeless and worthless because I’m not able to work outside of the home, as well as not being able to take care of our home as well as I’d like to. But my days are brighter than they were 8 years ago. 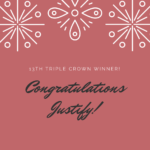 Previous Previous post: Justify Is Our 13th Triple Crown Winner!